Felt is earliest form of fabric. It is a non-woven fabric forming when sheep’s wool or animal fur is subjected to heat, moisture and agitation. Soap helps the felting process changing the pH environment so add heat and moisture and this causes the outer scales along the fibre to open up. The soap allows the fibres to slide easily over one another causing them to become entangled. The animal fibres are made up of a protein called keratin which becomes chemically bound to the protein of the other fibres thereby resulting in a permanent bond between the fibre. Felting allows us to make a fabric quickly producing a finished product in much less time than other crafts and with very little equipment. 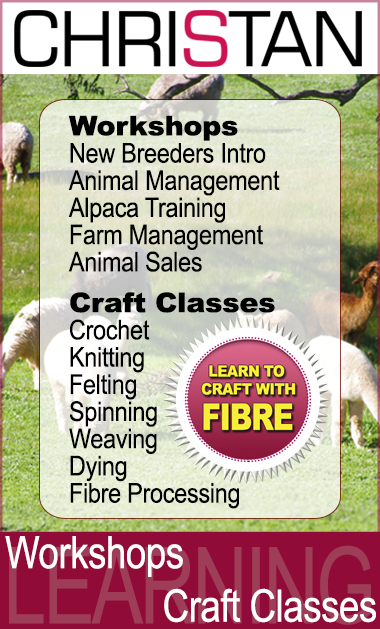 No one knows for certain how humans first discovered the felting properties of wool and animal fur. Matted wool may have been noticed on sheep, goats, or even where they used the animal fur for clothing with the agitation moisture and heat combined helping to creating the felting process. Today, there are names for the different techniques of making felt. Wet felting is the most common using a variety of components, for example; moisture, heat and agitation. Needle Felting techniques are now more common as the tools are easily available for this process. This is a dry process where a special kind of needle is repeatedly pushed through the fibre, allowing the fibres to tangle similar to the wet fibre process. Nuno Felting is a wet felting process involving agitation of the fibres, usually silk or viole which is a fine cotton. 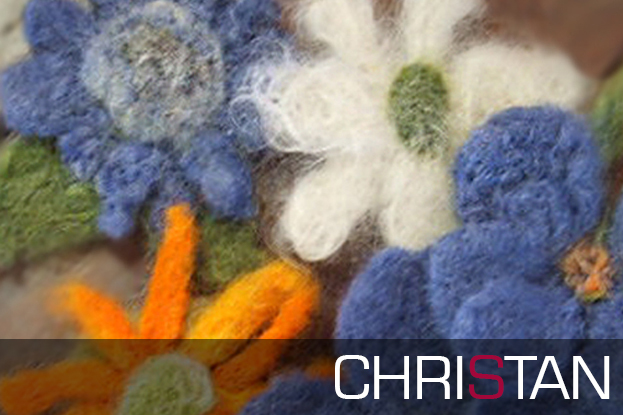 Join our CHRISTAN Craft Felting Class learn how to make felt and have some fun creating your very own felt.